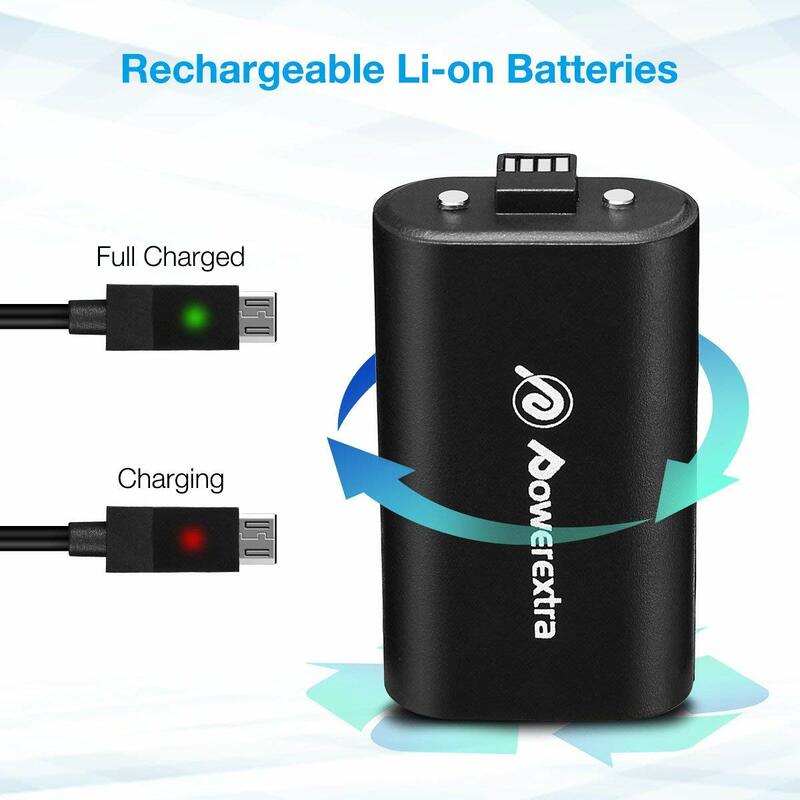 Powerextra rechargeable Li-ion batteries for Xbox One controller is rated at 2000mAh high capacity, 3.7 volts. 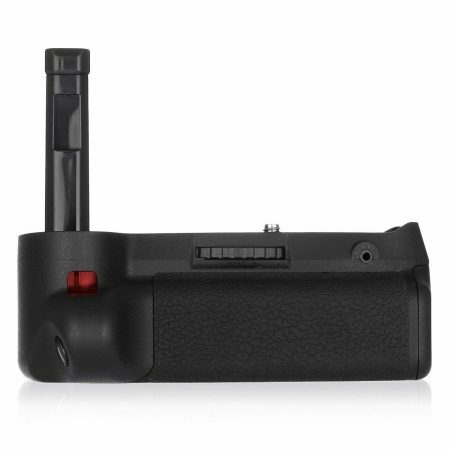 The Li-ion rechargeable battery has comparatively longer battery life and greater stability. It can be recharged fast and safely. 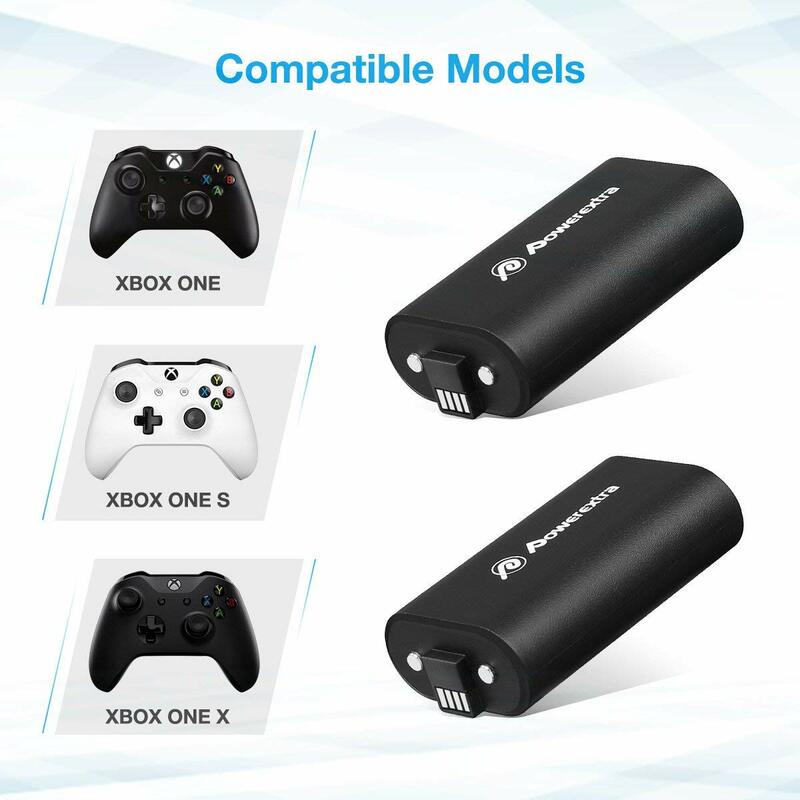 These 2-pack rechargeable batteries for Xbox One controller are fully compatible with Xbox One, Xbox One S, Xbox One X and Xbox One Elite controllers. 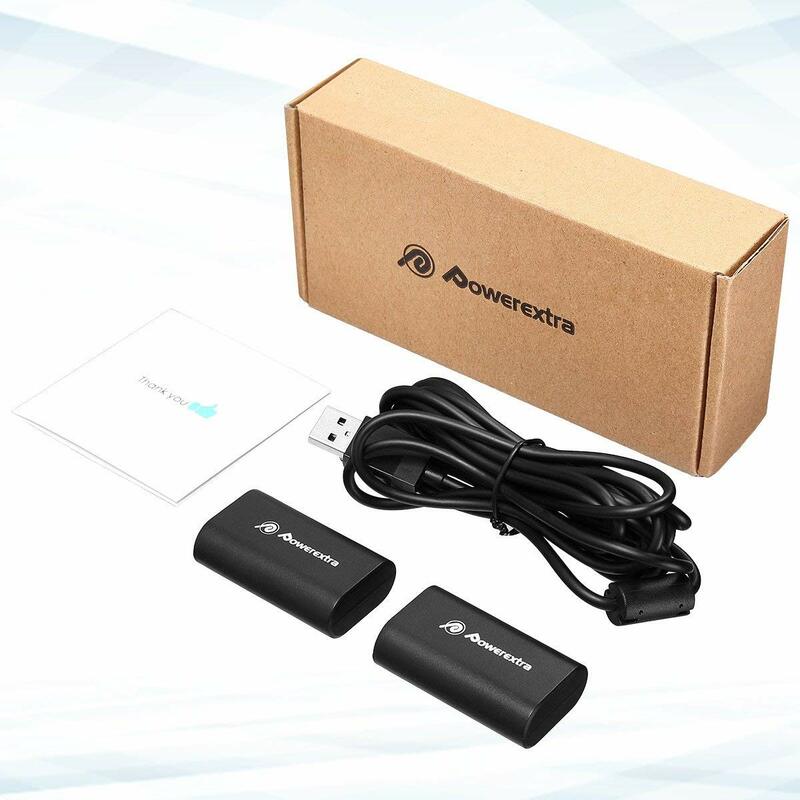 The battery packs come with a 2.75 meter long USB cable for convenience of charging your controller while you are using it. 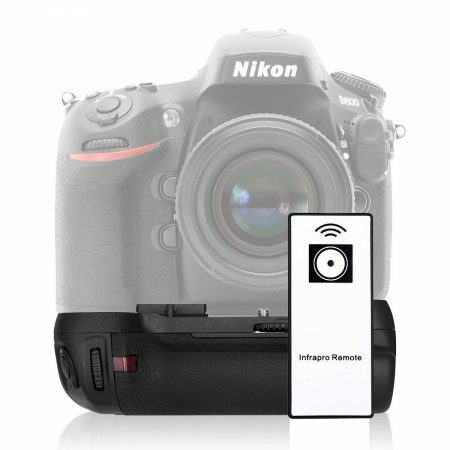 The convenient battery pack and cable combo allows you to charge and play easily. 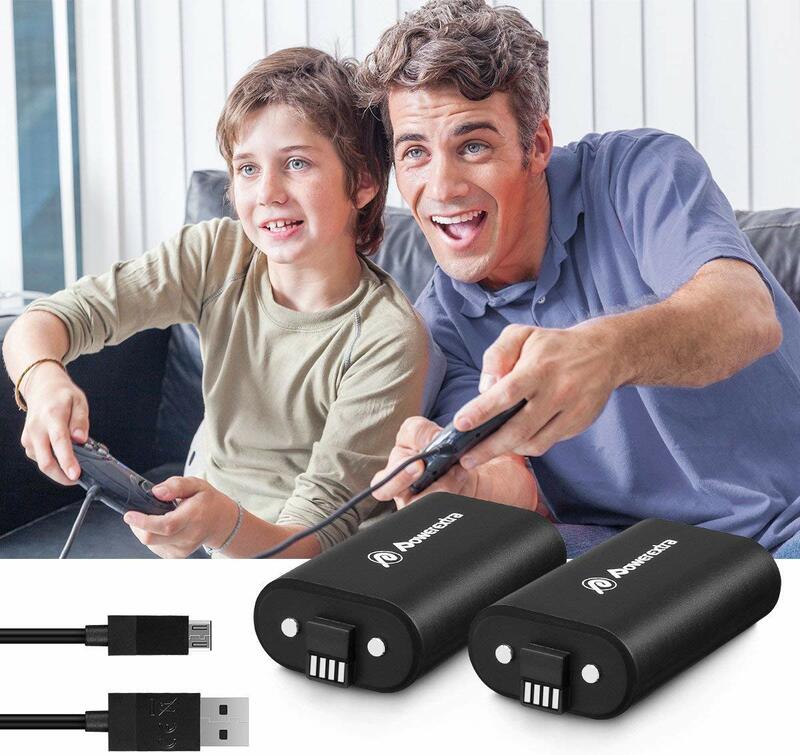 Enjoy longer playtime without the need to change battery in the middle of a game. 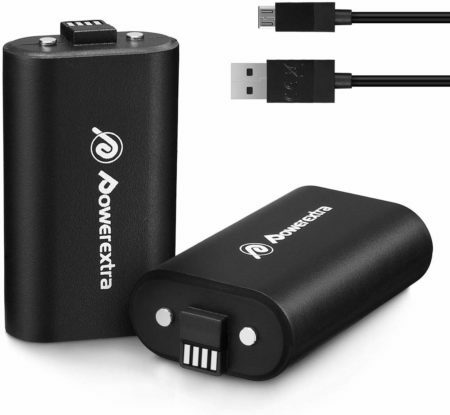 Long lasting rechargeable battery packs can be recharged fully within 3 to 4 hours with the original charger. These 2-pack Powerextra rechargeable batteries for Xbox One controller are high-quality Li-ion batteries with great efficiency and safety. 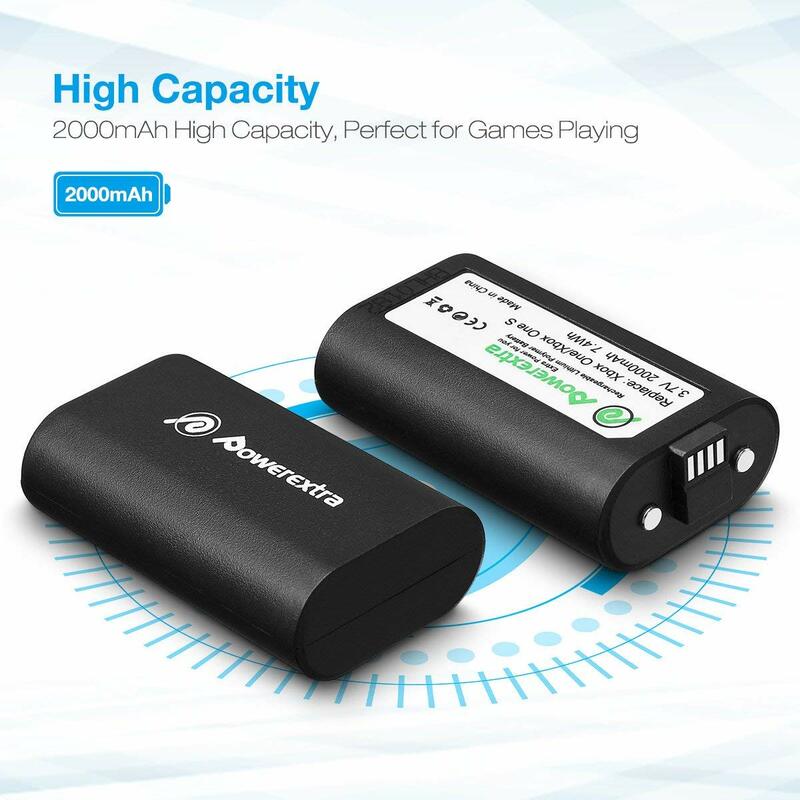 The rechargeable Li-ion batteries are rated at high capacity, 2000mAh, which help you enjoy long lasting battery power for your Xbox One games. 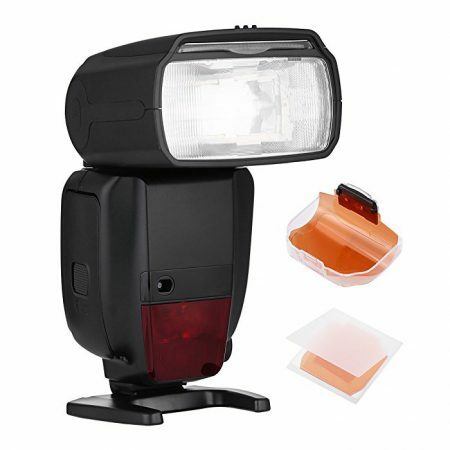 Stable and powerful battery energy offers you longer playtime and more convenience. 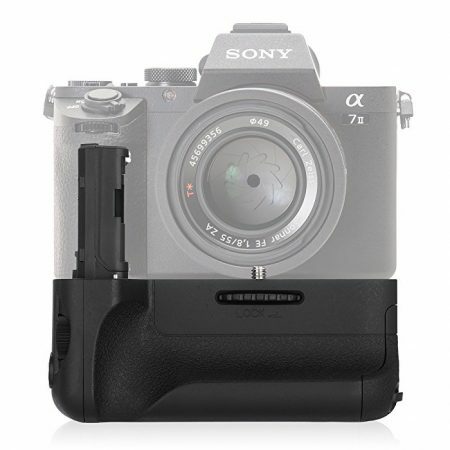 The 2 battery packs come with a super long USB cable for easier connection. 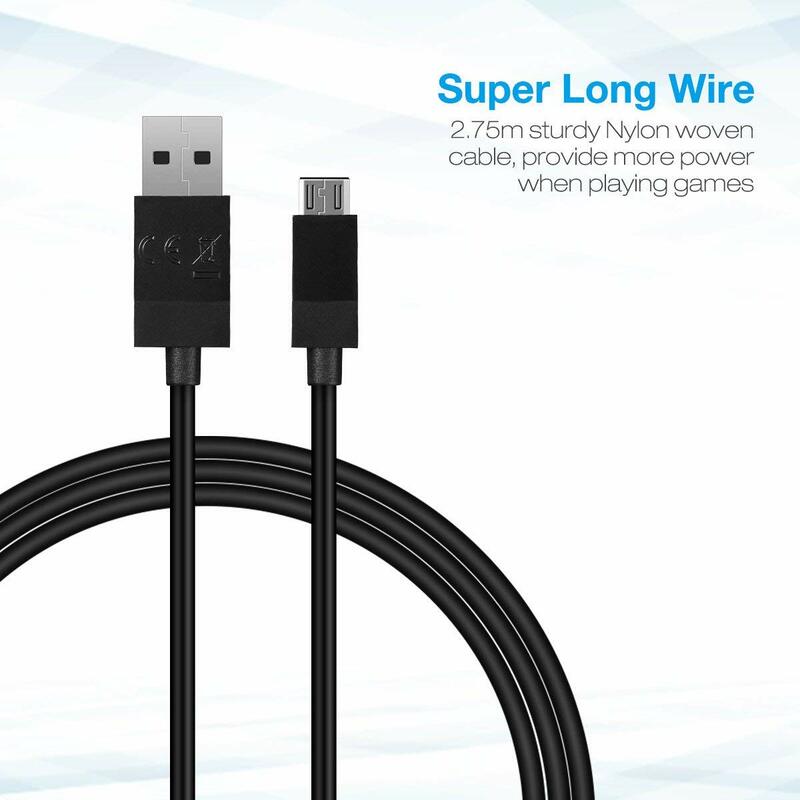 The 2.75 meter long USB cable enables you to enjoy your game a few steps away from the Xbox One controller charger. Long USB cable also helps you charge your battery more effortlessly. 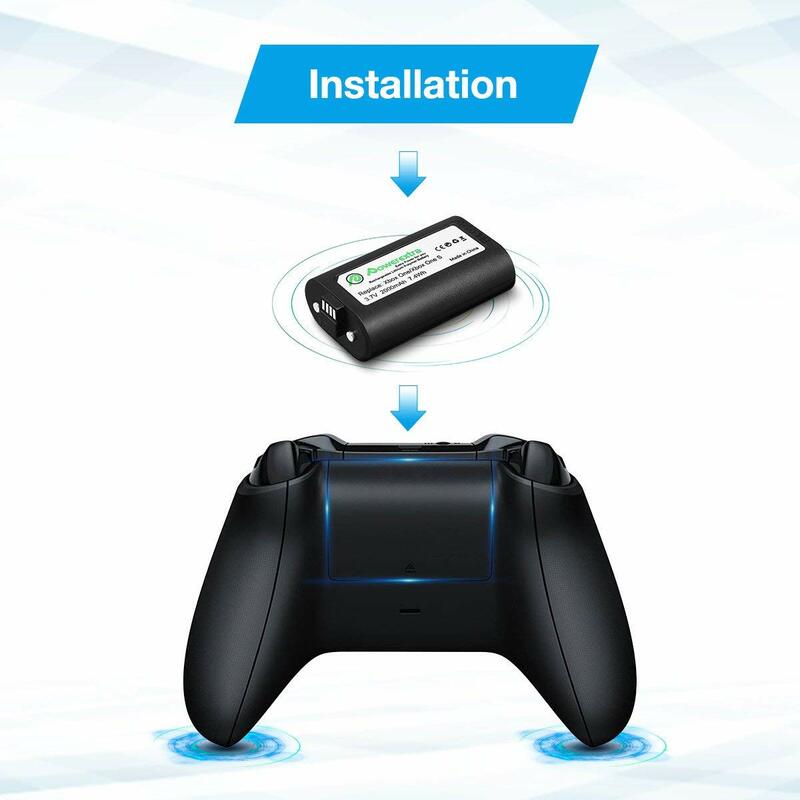 The Xbox One controller battery and USB cable combo kit is fully compatible with Xbox One, Xbox One X, Xbox One S and Xbox One Elite.